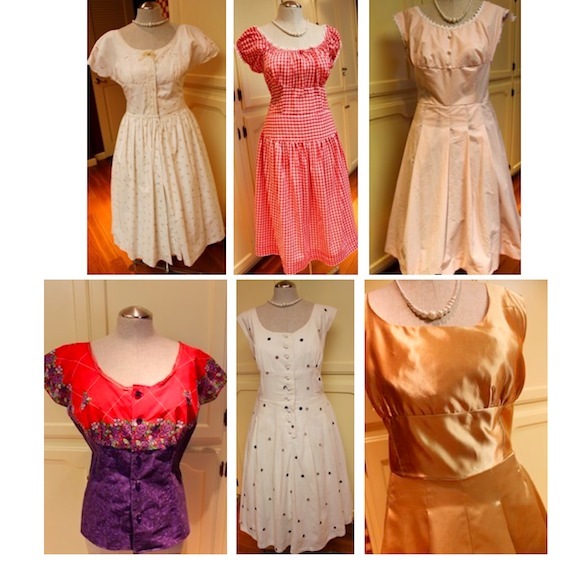 Learn from my mistakes and successes on retro sewing patterns I have used. 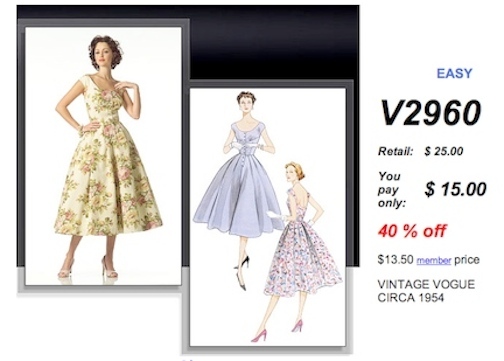 Below is the story on each of these dresses from the Vogue pattern V2960 (pictured above), in the order they were made. The nine fancy button holes down the front, and the sheer volume of 10 yards of fabric to manipulate through the sewing machine are two reasons this is not an easy pattern for a beginner (ten yards with lining). For more depth on each of these projects, see each individual story & photos. Some of what's covered is, inspiration, designing, sewing process, mistakes, lessons learned, will it be worn? I hope you find many ideas, tips and inspiration from these experiences. You can create whatever your mind can conjure up. A few skills and practice makes perfect. The projects are in order by date, starting with the "Sheet Dress", which is the first of 5 dresses , and 1 blouse that I would make using this same pattern. Each of these projects have taken me to a new level of experience, so order matters, and many of them are made out of fabrics that came from materials such as sheets, table cloths, napkins, doilies, discounted fabric, and fabric or clothes from around the house. The first project (sheet dress), was a great way for me to get back on the sewing horse, after years away. I knew there would likely be a lot of learning and mistakes along the way, so using old sheets helped to eliminate some of the fear of ruining beautiful new fabric. I'll be busy in my sewing room; sewing, designing, building this website, so check back for updates. Happy Sewing! Hope you enjoy these stories, and can find useful tips for your sewing project. Happy Sewing!